The Powermax® family of products consists of seven highly portable, professional grade air plasma systems. Built to withstand heavy duty use in demanding industrial environments, the systems are an ideal choice for hand or automated cutting and gouging of any electrically conductive metal; depending on system size, they offer a severance cut capacity from 16 mm (5/8") at 30 A to 57 mm (2-1/4") at 125 A. Plasma is created when gas is ionized by electrical energy. In Powermax systems, its intense heat (up to 22,000° C) is used to melt metal. Compressed air or nitrogen blows the molten metal away, leaving a clean edge that’s ready to weld in most cases. Whether in a shop, factory, at home, or in the field, Powermax systems cut and gouge all metal types and forms. Most Powermax models are available with a handheld or machine torch exactly tailored to your application. 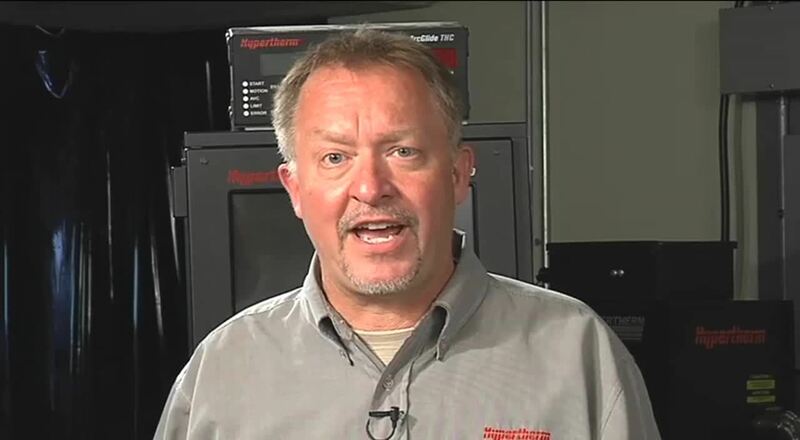 Hypertherm’s Technical Service Team is happy to troubleshoot issues and provide guidance, customers can often achieve better cutting outcomes on their own by running through the following questions. Need help choosing which Powermax system is right for you? View our product comparison chart.